BactilessTM is a 100% natural non-GMO and non-allergenic biopolymer from fungal Aspergillus niger origin which helps to control the bacteria population in wines. 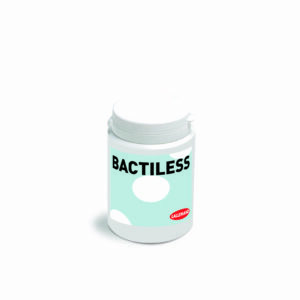 BactilessTM helps to lower the viable acetic and lactic bacteria population. This product however does not affect the yeast population. Its antibacterial effect can be enhanced with the use of SO2, but does not replace it. Recommended dosage varies from 20 g/hl – 50 g/hl in cases of very high contamination. A minimum contact time of 10 days is needed. After treatment, rack the wine from its lees.